All students are bound with the Disciplinary rules and regulation of the Institute. The courses are full time courses and minimum 80% attendance is compulsory for theory and practical classes. The Internal exams are conducted by the College from time to time as per the directions of University and Maharashtra State Board of Technical Education, Mumbai and students must secure passing marks in these exam. To deposit all original qualification certificates at the time of admission along with application form. 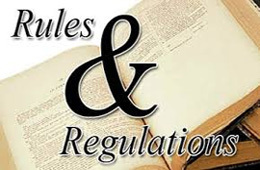 The Student once enrolled in the Institute should undergo through the Disciplinary rules prescribed by the Institute and should undertake to follow the same as per Maharashtra University Act, 1994 & Maharashtra University of Health Sciences, Act, 1998. Any disorderly conduct by words whether by words spoken or written or by an act which has the effect of teasing, treating or handling with rudeness any other student, indulging in rowdy or indisciplined activities which causes or is likely to cause annoyance, hardship or psychological harm or to raise fear or apprehension thereof in a fresher or a junior student or asking the student to do any act or perform something which such student will not do in the ordinary course and which has the effect of causing or generating a sense of shame or embarrassment so as to adversely affect the physique or psyche of a fresher or a junior student. The cause of indulging in ragging is deriving a sadistic pleasure or showing off power, authority or superiority by the seniors over their juniors or fresher’s. 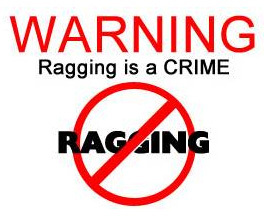 Ragging can be stopped by creating awareness amongst the students, teachers and parents that ragging is a reprehensible act which does not good to any one and by simultaneously generating an atmosphere of discipline by sending a clear message that no act of ragging shall be tolerated and any act of ragging shall not go unnoticed and unpunished. Withholding of scholarship or other benefits. Suspension or expulsion from hostel or mess and the like.